organic ingredients. And it's gluten-free and dairy-free! 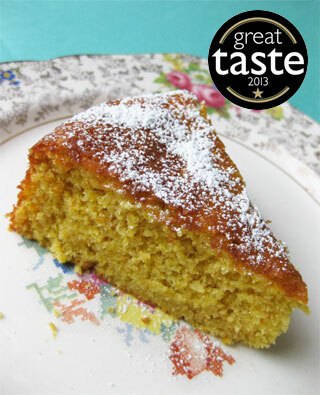 The judges at the Great Taste Awards loved this gorgeous golden cake. "An attractive cake with an even bake throughout," they said. "It has a pleasant aroma of oranges and almonds. 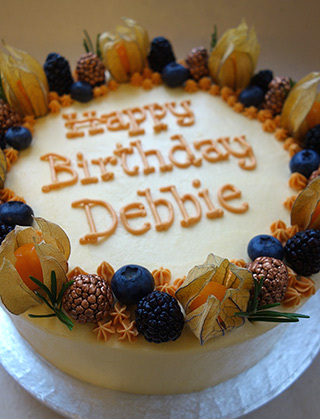 The texture is nice and moist and all the flavours come through ... and the cake is not overly sweet." Made with organic oranges, ground almonds and extra-virgin olive oil, it's so light-textured and moist, you'd never guess it's gluten- and dairy-free. Comes with a sachet of organic icing sugar to dust before serving. Pushing the boat out? Why not go for a two-layer cake? and decorated with physalis, gilded berries and rosemary sprigs. 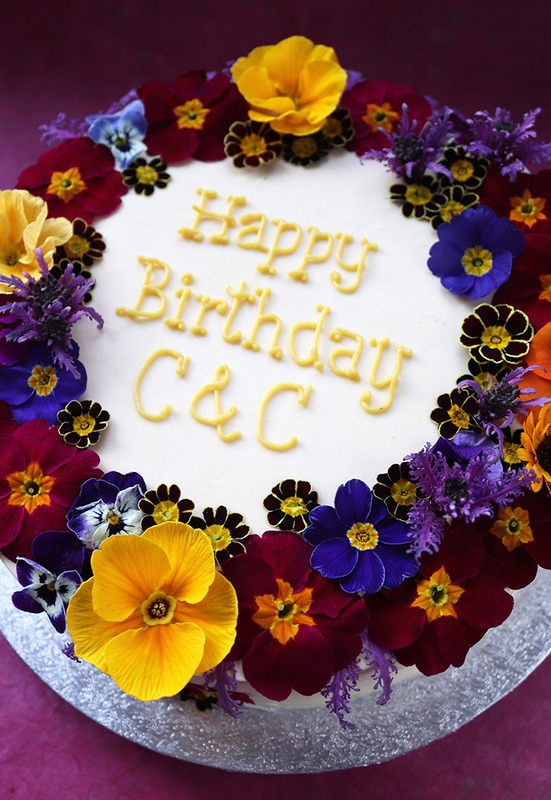 Or you can have organic edible flowers, from Maddocks Farm Organics, on top. Remember: most of my cakes are available dairy-free.